Pre Installed applications in Android, such as Photo Gallery, Android MP3 Player and Android Video Player will show all photos, tracks and videos of all the folders on your device. But if you add a “.nomedia” file to any folder, the media content of that folder will disappear from the Gallery / Player. 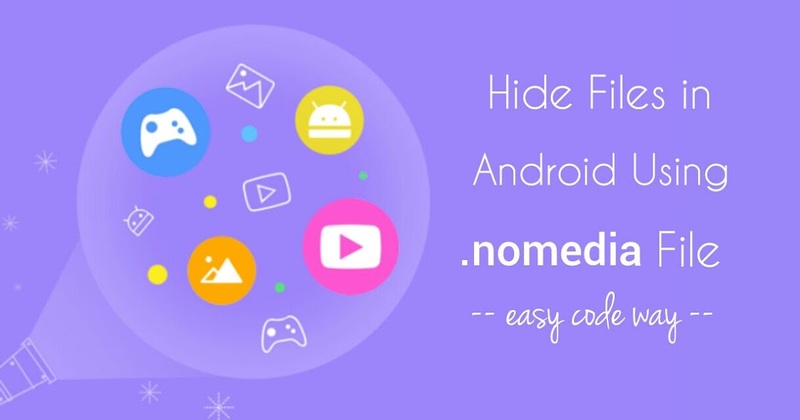 .nomedia is just an empty file used to hide images, songs and videos on an Android devices. 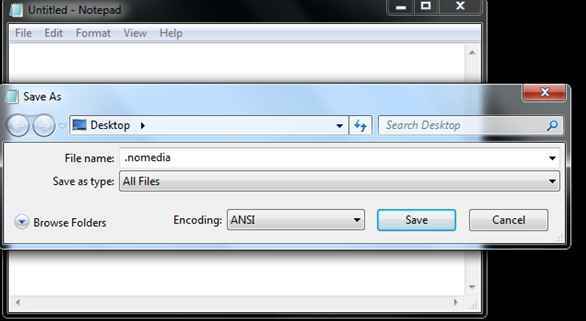 The “.nomedia” file will let you to hide multimedia files without installing any other external application. Then start to hide your personal, private or confidential multimedia files on your Android phone just by creating a “.nomedia” file in that folder. Here are two simple ways to create a .nomedia file. (Copy this file directly from another application pre-installed on your phone). ► Open the File Manager on your Android phone that you have installed. ► Just go to ../sdcard/Andriod/data/. ► In this folder, there will be a “.nomedia” file. Copy this “.nomedia” file. ► Then create a new folder or open the multimedia folder file and paste the “.nomedia” file into this folder where you want to hide your private / important media files. (Create nomedia file with Notepad on your PC). ► In the Windows operating system, select the Start menu »All files» Accessories »Notepad to open the notebook. ► After opening the notebook file, do not write anything in this file. Leave the field completely empty, not even a space or a symbol. ► Then select the “Save as type” option in the menu bar of the notebook. ► In the Save As dialog box at the bottom, select “All files (*. *)”. ► To assign a name to this file, type .nomedia and click Save. ► Your “.nomedia” file is ready and copied to your phone. 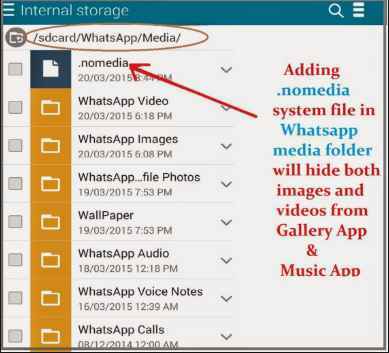 So here is how you can create a “.nomedia” file and hide files in you Android smart phones or tablets. You don’t need any external applications to hide your files. Hope this helps.